John P. Harty Sr. had long been haunted by the death of his friend, a State Police trooper gunned down on a rural highway in Central Massachusetts in 1951. Though police suggested the likely killer died in prison decades ago, Harty was never convinced. So last year, Harty and his granddaughter asked to see the records of Alje Savela’s murder themselves. But the Worcester district attorney’s office refused — insisting the 67-year-old investigation was still ongoing — even after the secretary of state’s office found the DA didn’t offer good enough reasons to withhold the files. That’s when Attorney General Maura Healey’s office stepped in — on the side of secrecy. It is one of a number of recent cases in which Healey has sided with agencies to keep records closed, despite her repeated calls for more transparency in government. In Harty’s case, instead of helping him get the documents, Healey’s office spent seven months reviewing the case and then decided the DA had every right to withhold the documents. By then it was too late for Harty, a 92-year-old best known for building a massive cross in the town where Savela was murdered. Harty died in August waiting for the ruling. Healey, a popular Democrat running for reelection this year, initially won praise from open government advocates after she took office three years ago. She publicly embraced efforts to update the public records law and became the first attorney general in memory to file a lawsuit against agencies that withheld records. But some public records attorneys have become increasingly disenchanted with her record. Healey has repeatedly gone to court to defend agencies trying to withhold documents. “I would expect more based on the promises she has made about open government,” said Robert Ambrogi, a media lawyer and director of the Massachusetts Newspaper Publishers Association. Healey defended her commitment to open government. She boasted that she has pushed to make more records available online and worked with Secretary of State William F. Galvin’s office to better enforce the state public records law. “I think that we have a strong track record that shows we are committed to transparency in government and enforcement of public records laws,” she said in an interview on Friday. But Healey said her office has an obligation to defend state agencies that may have legitimate reasons to withhold public records — fighting one lawsuit all the way to the state’s high court last year. In that case, the Massachusetts Department of Agricultural Resources refused to give the People for the Ethical Treatment of Animals records related to research monkeys, invoking an exemption passed after the September 11 terrorist attacks to keep sensitive building blueprints and security plans out of the hands of terrorists. 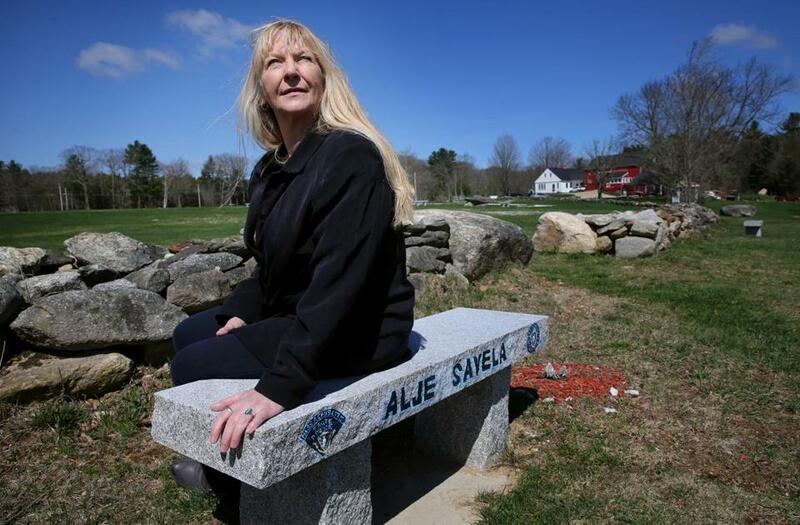 Amy Grandone rested on a bench that her grandfather, John P. Harty Sr., dedicated to State Trooper Alje Savela in Barre. The attorney general’s lawyers argued agencies should have broad discretion to use the post-Sept. 11 rule to withhold all sorts of records — including animal health certificates — they thought could potentially be misused to harm people. The Supreme Judicial Court, however, ruled that the exemption was intended to be far narrower, and the department ultimately agreed to turn over almost all the documents. “The attorney general’s interpretation of the exemption would have been a disaster for the public records law,” said David Milton, the Boston attorney who represented PETA. And Healey has twice appealed Suffolk Superior Court decisions that would have forced the State Police and other law enforcement agencies to turn over records related to government employees. In February, Healey decided to appeal a ruling requiring police to release mug shots and incident reports about public employees who are accused of a crime. The Globe filed the lawsuit after state and local police withheld records about officers caught drunk driving. Healey also appealed a ruling ordering the State Police to give the Globe dates of birth for state troopers, which would have enabled the Globe to look up the driving records for officers involved in crashes, to verify whether officers were the same people mentioned in arrest records, and to check whether officers were on the payrolls of multiple government departments. The issue has not been settled, but an appeals court said that the police ultimately face a “weighty burden” in attempting to keep the birth dates confidential. Healey said the police lawsuits raise thorny legal questions, such as how departments can best balance privacy laws with the public’s right to know. “We need to get clarity from the court,” Healey said. Healey’s office has also frequently sided with state agencies when Secretary of State Galvin’s office asked for help enforcing orders to provide records or reduce fees, essentially rendering those rulings meaningless. Though Galvin’s office is charged with handling public records appeals, it has to rely on Healey’s office to go to court to enforce its rulings. For instance, in April, Healey’s office said the Board of Registration in Medicine could charge the Globe as much as $16,800 for a copy of its electronic database of licensed physicians, despite an order from Galvin’s office to significantly reduce the fee. Healey’s office says it did advise the board, however, that it must consider ways to make it easier for the public to obtain electronic records the next time it updates its computer system. In one case, Healey’s office even forced Galvin to hire his own attorneys when the City of Somerville went to court to challenge an order requiring it to provide data on parking permits to the Globe. The attorney general’s office argued in court documents that there is a significant privacy interest in safeguarding Somerville’s parking permit data, even though the Globe used similar data to show that hundreds of households in Boston amassed at least five or more parking permits. 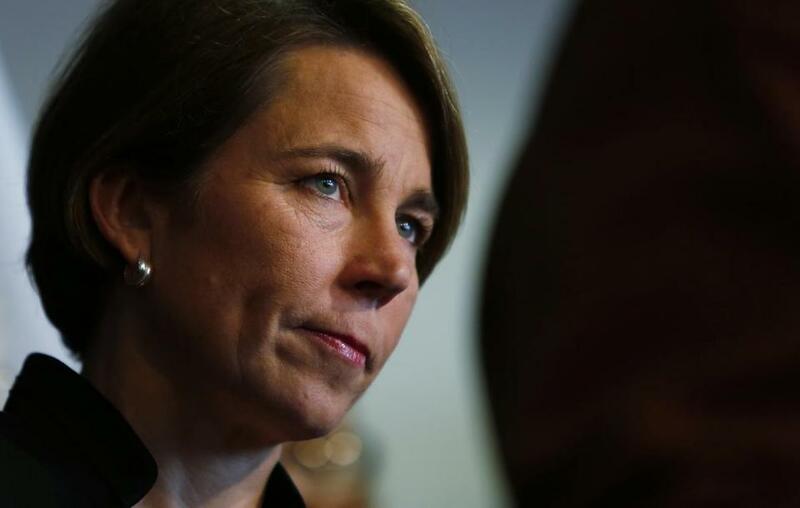 Healey noted she also sued three district attorney offices for refusing to provide the Globe with a list of cases they have prosecuted, the first time in recent memory an attorney general has filed a suit to enforce the public records law. A hearing in the case is set for June 13. And in several other cases, Healey’s office has successfully nudged government agencies to provide records or lower their fees without going to court. In 2015, for example, it successfully pushed the Fall River Police Department to reduce a $179 bill for records by more than $100. But John Harty’s request for records about Alje Savela’s murder in Barre shows the impact her office can have when it sides with government agencies that want to keep records secret. The decision may have ultimately prevented an elderly man from ever resolving painful questions about who killed his friend 67 years ago. Over the years, police have repeatedly suggested the main suspect was George Heroux, a bank robber who later killed a Florida state prison official and died in prison in 1960. Another suspect was found dead in 1954. State Police said they were not chasing any new or active leads in the case as recently as 2014. A spokeswoman for Worcester District Attorney Joseph D. Early Jr.’s office said the state is now conducting forensic testing in Savela’s homicide, however, though she declined to provide details or disclose the last time the DA’s office interviewed anyone in the case. “Our unresolved case unit works hard to bring all cases to justice and provide closure to families no matter the age of the case,” said Lindsay Corcoran, spokeswoman for the district attorney’s office. Healey’s attorneys said they are just trying to help protect the DA’s investigation in case anyone is ever charged in the crime. New DNA technology has increasingly allowed detectives to solve long-forgotten cold cases, including recent examples in New Hampshire and California. But Grandone, the granddaughter who tried to help Harty obtain the records, said she wanted to ask Healey the reasons for withholding the records when everyone she knows connected to the case is dead.